This page highlights organizations working within the PA Highlands region, as well as important research, management, and planning projects going on in the PA Highlands. The PA Highlands are a state designated mega-greenway. For more information on greenways visit PA’s Major Greenway Corridors. Conservation, preservation and recreation organizations working in and around the PA Highlands Organizations are organized by file name, issue and location. For more information on organizations in your county, go to ConservationTools.org. Model Ordinances and Easements, Comprehensive Plans, Guides and Handbook documents are organized by file name, type and resource. For more information on ordinances, go to Conserveland.org – Pennsylvania Land Trust Association. Conservation, recreation, and planning projects in and around the PA Highlands are organized by file name and type. County-level Conservation Districts, Programs and Resources are organized by county. The Pennsylvania Highlands Greenway Map is a tool that can be used to help local, state and federal government officials as well as land trusts, private citizens, and private foundations prioritize their land conservation efforts in the Pennsylvania Highlands. 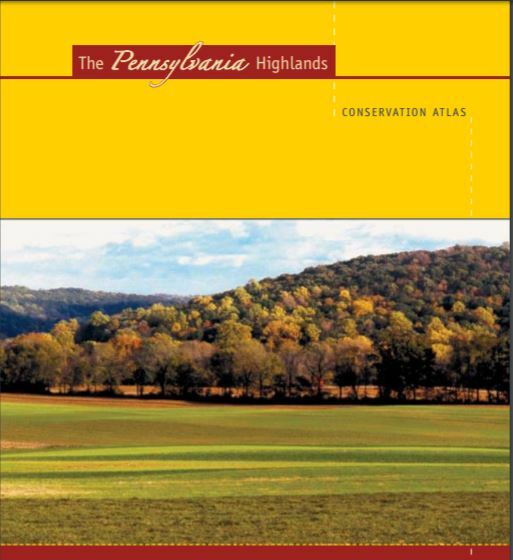 The Pennsylvania Highlands Conservation Atlas is a resource for prioritizing land conservation opportunities in the 1.4 million acre Pennsylvania Highlands region stretching across southeastern PA. The atlas combines science-based data on land ownership, natural resources, and recreational assets with a participatory approach to conservation planning, including input from state and local government officials, local land trusts, and outdoors recreation groups. Data files are current as of March 2011. For any questions, concerns, or suggestions, contact us at amcpahighlands@outdoors.org.